The Netherlands' largest smash group. Introduce yourself and find other players near your location. 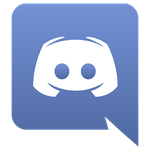 Here you will find the previous Dutch Smash4, now Ultimate discord community! The former hub of the Dutch smash community. The old archived forum is now no longer in use but can still be visited. The most widely used tournament hosting website. Information, player registration, payment plans and bracket software.